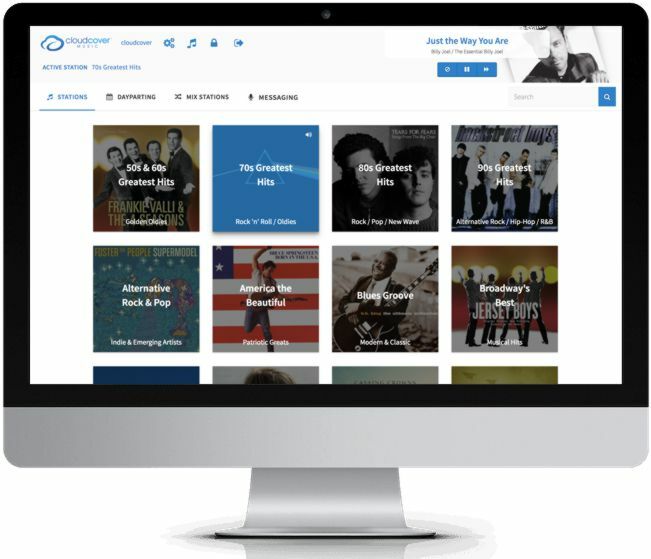 We're committed to ensuring every user has a great experience using Cloud Cover Music's music streaming solution. Over the past few months we've been working hard to make our service easier to use and more intuitive. In fact, you may have already noticed a few enhancements: a new Help Center, updated mobile apps, an improved CloudBox, and revamped blog. Our latest update? Cloud Cover's browser-based UI. We've made it easier for you to select and edit your music and messages. View which station your song is from to further curate your mix stations. Change your music through your mobile device's browser. Ready to experience the UI yourself?